A majority of Fed officials have said they expect to raise interest rates this year for the first time since 2006. Federal Reserve policy makers inserted language into their October statement to stress that “it may well become appropriate” to raise the benchmark lending rate in December and largely agreed that the pace of increases would be gradual, minutes of the meeting showed. “Members emphasized that this change was intended to convey the sense that, while no decision had been made, it may well become appropriate to initiate the normalization process at the next meeting,” said minutes of the FOMC’s Oct. 27-28 meeting, released Wednesday in Washington. A majority of Fed officials have signaled they expect to raise interest rates this year for the first time since 2006. That message was underscored when policy makers added a reference to the “next meeting” on Dec. 15-16 in their October statement, in connection with their assessment on when to act. U.S. stocks rose, while Treasuries erased losses, with the Standard & Poor’s 500 Index extending gains and the dollar advancing as the Fed reinforced views that the U.S. economy was strong enough to handle a rate hike. A “couple” of voting policy makers had qualms that the wording change “could be misinterpreted as signaling too strongly the expectation” for December liftoff, according to the report. “It was noted that the beginning of the normalization process relatively soon would make it more likely that the policy trajectory after liftoff could be shallow,” the minutes said. The minutes broke policy makers into three camps, with some saying economic conditions necessary for tightening policy “had already been met,” while “most participants” estimated that their criteria “could well be met” in December. “Some others, however, judged it unlikely that the information available by the December meeting would warrant” a rate increase, the minutes said. U.S. economic data since the meeting have been encouraging. Employers added 271,000 people to payrolls in October, the biggest gain this year, and unemployment fell to 5 percent. Job openings in September climbed to the second highest on record, while the consumer price index, minus food and energy, rose 1.9 percent last month from a year earlier. Earlier Wednesday, several Fed officials talked up recent data on the U.S. economy and said it reinforced the case for raising interest rates, though they stopped short of committing to liftoff at their next meeting. “I’m comfortable with moving off zero soon, conditioned on no marked deterioration in economic conditions,” Atlanta Fed President Dennis Lockhart told a conference in New York. Chair Janet Yellen told Congress on Nov. 4 that a December rate hike was a “live possibility,” and New York Fed President William C. Dudley said Wednesday that raising rates would be a sign of confidence in the economy. Officials in October also dropped a reference in their statement to “recent global economic and financial developments” potentially constraining economic growth. “Most participants saw the downside risks arising from economic and financial developments abroad as having diminished,” the minutes said. Despite missing their target for 2 percent annual inflation for more than three years, Fed officials continued to anticipate prices would rise back to their goal “over the medium term,” the minutes said. 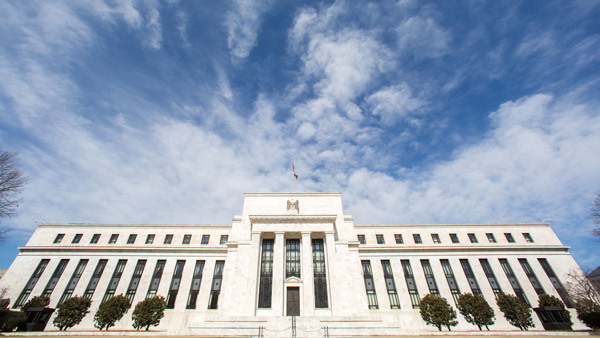 Fed officials received a staff briefing on the equilibrium real interest rate, or the policy rate that would keep the economy running at full employment with stable prices, according to the minutes. Fed officials discussed the possibility that the short-run equilibrium rate “would likely remain below levels that were normal during previous business cycle expansions,” the minutes said.